Despite the looming end of the fiscal year on June 30, the Joint Committee on Finance has not completed work on the state budget proposal. The committee only met one time in June to vote on budget provisions, leaving transportation, K12 education, and general fund taxes yet to be dealt with. The Assembly and Senate GOP members are at odds over transportation and K12 education funding, as well as general fund taxation. It is unclear how long the impasse could last. Although the new fiscal year begins on July 1, funding for state agencies and programs will continue at current levels until a new budget is signed into law. Senator and Committee Co-Chair Alberta Darling told the media on June 22 that the sides are still far apart. The standoff is unusual since both houses of the legislature are held by Republicans. 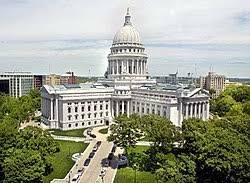 Senate Republicans are supportive of Governor Walker’s transportation proposal, which is to use a combination of current revenue levels and limited bonding to fund road projects. Assembly Republicans claim that plan is not a long-term solution and would prefer to look at new revenue options. The committee reduced the governor’s Medical Assistance cost-to-continue recommendation by $132,582,600. This reduction is based on a re-estimate of the cost to continue using more recent and relevant data than was used by the administration early this year. Approved Governor Walker’s recommendation to allocate an additional $500,000 per year for the Child Psychiatry Consultation Program. The committee made $14 million available for broadband expansion grants in 2017-18. Any unencumbered dollars from the Universal Services Fund can also be used for broadband expansion grants. The committee rejected the Governor’s proposal to reduce tuition costs by 5% in the UW-System. Instead, it voted to continue the freeze on tuition levels for the 2017-18 and 2018-19 academic years. The committee directed the department to study occupational licenses. The department must submit a report to the legislature recommending elimination of certain occupational licenses that either pose a barrier to employment or do not necessarily protect public health and safety. The committee voted to increase daily fees at state parks by up to $5. When the Joint Committee on Finance completes its work on the proposal, it will then be sent to the State Assembly and State Senate for their approval. The governor will then need to sign the bill in order for the funding levels to go into effect.